When I turned 50 I decided it was time to get back in shape. I had been an athlete most of my life but my mom’s death and running a business changed my priorities and I totally let myself go. I had high blood pressure and I was diagnosed as prediabetic. That’s not an unfamiliar story. I had watched Crossfit, heard of Crossfit and was afraid of Crossfit so I wasn’t quite sure it was for me. I have sports injuries including 4 herniated discs in my cervical spine so to say I was skeptical was an understatement. I was referred to Jay at Crossfit Revel in June 2015. I was hesitant to work with a trainer again because of my marginal improvements in the past with trainers but I gave him a shot anyway. I benefit most from CR’s personal programming. It’s tailored to my specific goals, concentrating on strengthening my weak areas and preventing any further injury. Jay is awesome. He’s been supportive, encouraging, flexible and as committed to my training program as you could hope any trainer to be. Jay has provided not only personal programming but an experience personal to me. Of course, as he reminds me, I am doing all he hard stuff. Most importantly, I don’t feel like I am just a number at Crossfit Revel, I feel like I am part of the gym family here. I know I can ask any of the coaches there for guidance when I need it. Jay’s personal programming also allows me the flexibility to without being tied to a class schedule. That’s not the only thing, I’m pretty competitive so their personal programming provides me with just the right amount of competition with....MYSELF. I’m less likely to get hurt trying to deadlift more than my neighbor. 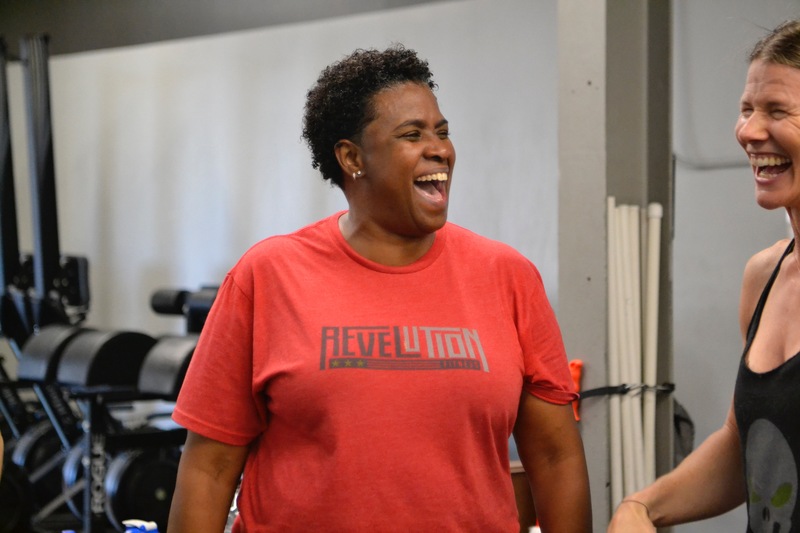 Before my experience at Crossfit Revel I felt incapable which was unfamiliar to me. I didn’t feel able to do what I wanted when I wanted anymore. Now I’m on my way to healthy again, pre-diabetes is reversed, I’m taking half the amount of blood pressure medicine I once took. I have a new found confidence and a new willingness to tackle life and all it’s challenges.